Delhi Metro on 4 June 2015 received its first driver-less train from Korea-based manufacturer. The train is equipped with several advanced features and will be operational on sections of Phase-III of the network, set to be operational by December 2016. These new trains have undergone significant technological as well as eco-friendly upgrades. Many additional features have been added to increase passenger comfort. These trains will be more energy efficient because of improved design features such as better regeneration of energy during braking, energy efficient sub systems like LED lighting and air conditioning systems. They would run on the over 58 km-long Majlish Park-Shiv Vihar and the over 38 km-long Janakpuri (West)-Botanical Garden corridors of the Phase-III. This six-coach train was ferried to India by sea to Gujarat’s Mundhra port and then was brought to Delhi by road on specially made trailers. According to DMRC, a total of 20 such train sets of Hyundai Rotem will be manufactured in South Korea’s Changwan by the end of 2015 while the remaining 61 are being manufactured at the Bharat Earth Movers Limited (BEML) plant in Bengaluru. 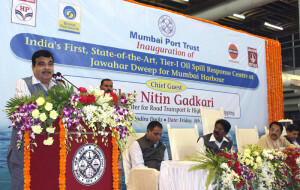 India’s first of its kind Tier-I Oil Spill Response Centre (OSRC) for Mumbai Port Trust (MBT), Jawaharlal Nehru Port Trust (JNPT) and ONGC’s facilities at Nhava and Uran was inaugurated on 5 June 2015. 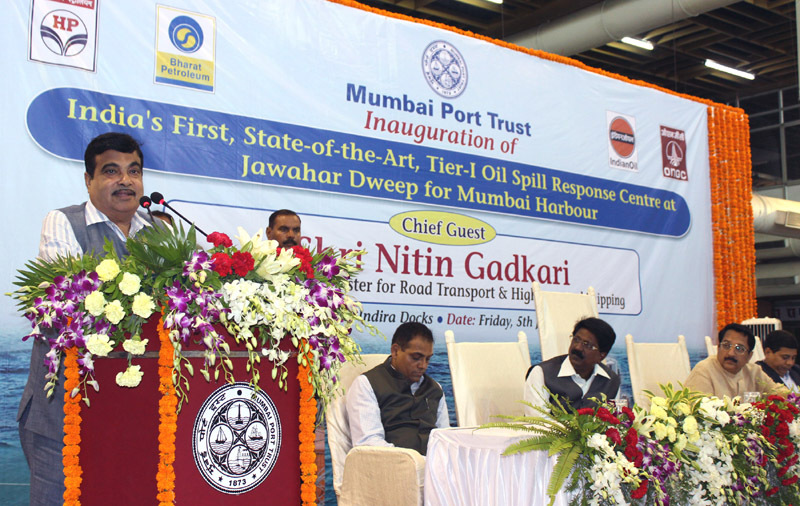 It was inaugurated by Union Minister of Road Transport & Highways and Shipping, Nitin Gadkari to tackle pollution and oil spills in and around Mumbai. OSRC is equipped with state-of-the-art equipment in operational readiness for combating Tier-I oil spill upto 700 tones. The objective behind setting up this centre is to develop appropriate and effective systems for the detection and reporting of spillage of oil in order to ensure adequate protection to the marine environment and public health. This centre will also ensure prompt and appropriate response technique to control, combat and prevent oil pollution and dispose recovered waste material in an environmental friendly manner. The OSRC is equipped with skilled and trained personnel and wireless communication facilities for immediately responding to any oil spill. It will monitor on 24/7 basis. It also includes various plans like Contingency Plan, Health Safety and Environment Plan. The facility is funded by Participating Oil Companies (POCs). While, MPT will take the responsibility for tendering and monitoring of Tier-I OSR facility. Every year World Environment Day (WED) is observed on 05 June to raise global awareness to take positive environmental action to protect nature and the planet Earth. The theme for year 2015 is Seven Billion Dreams. One Planet. Consume with Care. The theme highlights the need to respect the carrying capacity of the planet earth and to manage natural resources efficiently to ensure prosperity and wellbeing globally. 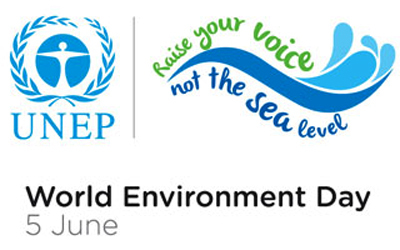 Observing this day is global initiative of United Nations Environment Programme (UNEP). The host country for the WED 2015 is Italy. To mark this day Prime Minister Narendra Modi inaugurated a tree plantation campaign across India by planting Kadamb sapling at the lawns of his Race Course Road residence. WED was established by the United Nations General Assembly in 1972 to mark the opening of United Nations Conference on the Human Environment 1972 which began in Stockholm. The first World Environment Day was observed in 1973 and since then it is being held every year with a different themes. India has lost a poultry case against United States at World Trade Organization (WTO) after WTO’s Dispute Settlement Board (DSB) ruled that India’s ban on import of poultry meat, eggs and live pigs from US is inconsistent with the international norms. 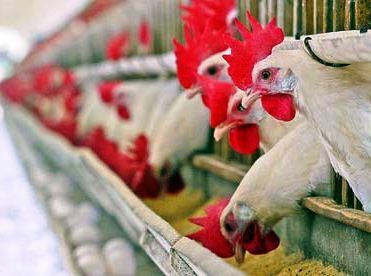 India had banned imports of various agriculture products including poultry meat and eggs from the US in 2007. These poultry products were banned as a precautionary measure to prevent outbreaks of Avian Influenza and bird flu fears. In March 2012, US had dragged India to the WTO for banning these products and had contended India’s import prohibition saying that it was not based on the relevant international standard or on a scientific risk assessment. Earlier in October 2014 WTO Appellate Body had ruled in favour of US and clearly mentioned that India’s ban measures are arbitrarily and unjustifiably discrimination on international trade and constitutes a disguised restriction on it. India had challenged WTO’s this ruling and had appealed to the Dispute Settlement Board (DSB) of the WTO. With this WTO ruling, US which is one of the world’s largest exporters of chicken meat will be able to export their poultry products to Indian market without any trade barriers. This will help US farmers and poultry industry to supply their products to Indian broiler meat consumers which has increased to 3.72 million tonnes in 2014 from 3.45 million tonnes in 2013. Union Government has signed a loan and project agreement with World Bank to provide $400 million to the Tamil Nadu government for its Sustainable Urban Development Project. The loan agreement, signed by Raj Kumar, Joint Secretary, Department of Economic Affairs, Ministry of Finance and Onno Ruhl, Country director of World Bank (India). Tamil Nadu’s sustainable Urban Development Project aims at improving urban services in participating Urban Local Bodies (ULBs) in a financially sustainable manner. It also seeks at piloting improved urban management practices in selected cities. The project consists of three parts Investment in urban services including water, municipal solid waste, sewerage, urban transportation and storm water drainage. 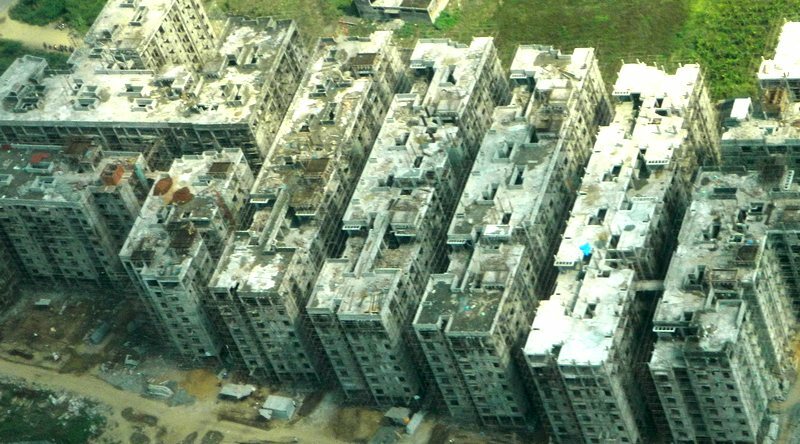 Results-based grants for urban governance. Urban sector technical assistance to strengthen the capacity of ULBs and urban sector officials. The size of the project is US 600 million dollars, of which 400 million dollars would be financed through the International Bank for Reconstruction and Development. 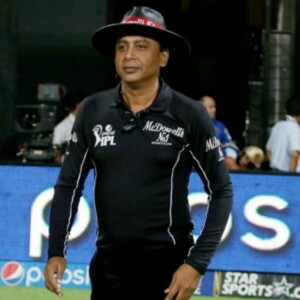 India’s Sundaram Ravi was inducted into the Elite Panel of International Cricket Council (ICC) Umpires for year 2015-2016. Decision in this regard was taken by the ICC Umpires Selection Panel consisting of Chairman Geoff Allardice and others members after annual review and selection process. Apart from Ravi, New Zealand’s Chris Gaffaney was also inducted in this elite panel. Both of them were promoted from the International Panel to the Elite Panel. With this appointment, Sundaram Ravi became second Indian umpire after S Venkataraghavan to be inducted into the ICC’s elite panel. S Venkataraghavan was inducted in this panel in 2004. Now, the elite Panel of Umpires for 2015-2016 include Kumar Dharmasena, Aleem Dar, Ian Gould, Marais Erasmus, Richard Illingworth, Richard Kettleborough, Chris Gaffaney, Sundaram Ravi, Rod Tucker, Paul Reiffel and Bruce Oxenford. Sundaram Ravi had made his international umpiring debut in Visakhapatnam in December 2011 in an ODI between India and West Indies. Since then he has umpired in 6 Tests matches, 24 ODIs and 12 T20Is. He also had umpired in the ICC Cricket World Cup 2015 held earlier in March 2015 in Australia and New Zealand. India’s Machettira Raju Poovamma and Liksy Joseph have won silver medal each in 21st Asian Athletics Championships held in Wuhan, China. Quarter-miler Poovamma won silver medal in women’s 400m finals event by clocking 53.07 secs. China’s Yang Huizhen (52.37 sec) won the gold medal and Anastasiya Kudinova (53.41 sec) of Kazakhstan won bronze medal in this event. While heptathlete Joseph won the silver medal in the 800m race with a time of 2:13.44. Her teammate and former Asian junior champion Purnima Hembram won bronze medal in this event. Earlier, G. Lakshmanan had won bronze medal in Men’s 5,000 metre race. 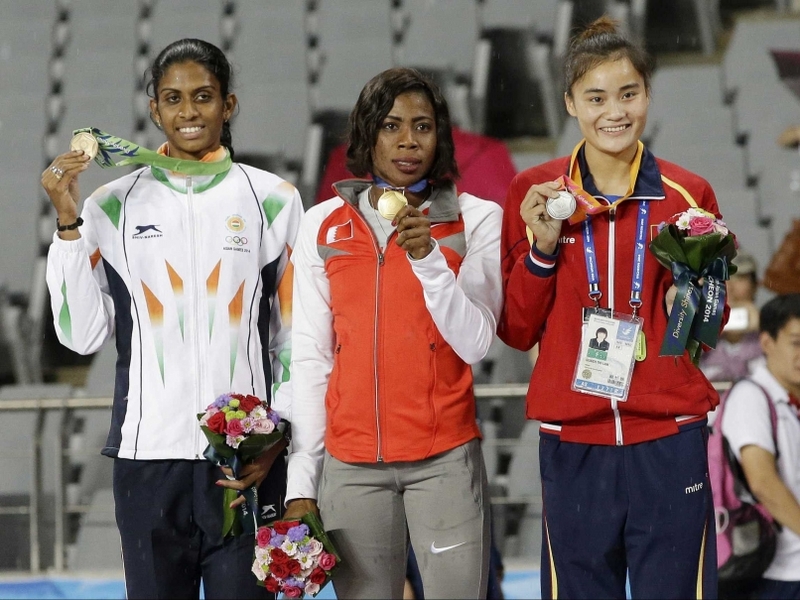 With this India’s medal tally in 21st Asian Athletics Championships is now is 1 Gold, 2 Silver and 2 Bronze. On the opening day of the Championships, Inderjeet Singh had won gold in Shot put event. Fortune on 4 June 2015 released the 61st edition of list of top 500 companies. These Fortune 500 companies account for 12.5 trillion US dollar in revenues, 945 billion US dollar in profits, 17 trillion US dollar in market value and employ 26.8 million people worldwide. The list was topped by retail behemoth Walmart with revenue of 485.6 billion US dollar. 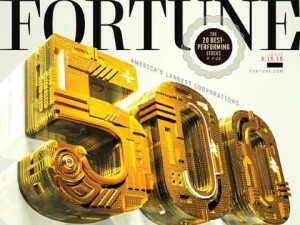 It was followed by Exxon Mobil, Chevron, Berkshire Hathaway and Apple at the 2nd, 3rd, 4th and 5th position respectively. The top five of 2015 list remains unchanged as compared to the 2014 list. Further, Apple was the most profitable company with profit of 39.5 billion US dollars followed by Exxon Mobil (32.5 billion US dollars). Facebook saw the biggest jump in rankings from 341 to 242 while new entrants to the list included emerging tech heavyweights Salesforce.com, Netflix and Expedia. Microsoft, Google, IBM, Intel and Oracle are all placed in the top 20 in terms of profit; however, they are placed outside the top 20 in terms of revenue. The revenue of the Fortune 500 companies in 2015 increased by 2.6 percent from 2014 but the total profits were down 12.6 per cent to 945 billion US dollar. 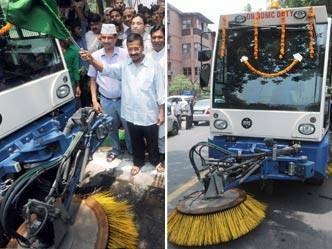 Delhi Chief Minister Arvind Kejriwal on 4 June 2015 inaugurated six mechanical road sweepers on Kalibari Marg, Delhi to effectively control air pollution and keep the city clean. The mechanical sweeping machines are the initiative of the New Delhi Municipal Corporation (NDMC). These are aimed at effectively cleaning the roads of the city and reduce the exposure of dust and dirt particles to manual sweepers. Currently, the NDMC has deployed four road sweepers for major and colony roads stretching across 10920 km and two road sweepers for lanes and cross-colony roads of 3900 km. The machines’ speed is 5-10 km per hour and can cover 30 km a day. The machines will mostly operate in night shifts. The machines are equipped with water sprinklers which effectively remove the soil and dirt from the roads, ensuring that the minute particulate matter do not spread in the air. As the level of pollution is high in the city, the introduction of mechanised sweepers is being looked upon as a big step to reduce the level of dust in Delhi. If the project turns out to be success in NDMC area, then the Delhi government may introduce mechanical road sweepers in the PWD roads, which is a stretch of 1260 km. 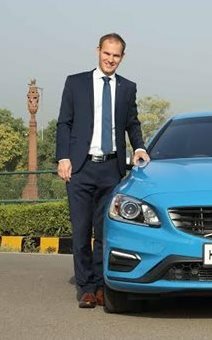 Volvo Auto India on 1 June 2015 appointed Tom von Bonsdorff as Managing Director. He will take over with immediate effect. He succeeded Tomas Ernberg. Tomas Ernberg is moving back to Sweden in a new role. Bonsdorff has been working with Volvo Cars for 17 years in various operational and managerial positions. Earlier, Bonsdorff has worked in the US, Sweden, Finland, while in his current position as a Market Area Director of Asia. He is already based in Delhi. The Volvo Group is a Swedish multinational manufacturing company headquartered in Gothenburg. Its core activity is the production, distribution and sale of trucks, buses and construction equipment. Indian Renewable Energy Development Agency Limited (IREDA) was on 2 June 2015 awarded the Miniratna (Cateogry -1) status by the Department of Public Enterprises under the Union Ministry of Heavy Industry and Public Enterprises. The proposal for conferring Miniratna status for IREDA was recommended by the Union Ministry of New and Renewable Energy (MNRE). Grant of status allows IREDA to make capital expenditure on new projects, modernization, purchase of equipment, etc. without Government approval up to 500 crores rupees, or equal to their net worth, whichever is lower. For IREDA, now the ceiling on equity investment to establish joint ventures and subsidiaries in India will be 15% of its net worth in one project limited to 500 crore rupees. The overall ceiling on such investment in all projects put together shall be 30% of the net worth IREDA. The scheme of awarding Navratna, Miniratna (Category-1 and 2) status to public sector undertakings (PSUs) was started by the Union Government vide a notification dated 22 July 1997 so as to grant greater autonomy to PSUs to become global giants. Later on 4 February 2010, the scheme of Maharatna for PSUs was started. At present, there are 55 Public Limited Companies in Mini Ratna (Cateogry -1) and 17 are in Mini Ratna (Cateogry-2). Besides, there are 7 Maharatna Companies and 17 Navratnas companies. They should have made profit in the last three years continuously, the pre-tax profit should have been 30 crores rupees or more in at least one of the three years and should have a positive net worth. IREDA was established as Public Limited Government Company in 1987 to promote, develop and extend financial assistance for renewable energy and energy efficiency /conservation projects with the Motto Energy for Ever. It was created as Non-Banking Financial Institution (NBFI) in Schedule C of the Reserve Bank of India (RBI) and was upgraded as Schedule B in 2010. The Chairman and Managing Director (CMD) of IREDA is KS Popli. India and the Netherlands on 5 June 2015 signed several agreements to deepen bilateral cooperation. The agreements were signed in the presence of Prime Minister Narendra Modi and Prime Minister of Netherland Mark Rutte in New Delhi after the two leaders held discussions on various issues related to the region and the world. Mark Rutte is on a two day visit to India on 5-6 June 2015. Agreement on setting up Joint Working Group on Counter Terrorism , which will hold its first meeting on 19 June 2015. Agreement on manufacturing of dredgers at the Cochin Shipyard. Agreement on manufacturing of Measles, and Rubella Vaccine in India, with transfer of technology from Netherlands. Agreement on developing coastal roads and metro lines in India. Agreement on setting up a Joint Working Group on Skill Development. Agreement on developing joint pilot projects for an electric vehicle ecosystem in India. Agreement on setting up centres of excellence in areas like horticulture and animal husbandry in India. The Netherlands is a key partner in India’s economic development as it hosts the second largest Indian community in Europe and several Dutch companies have a long presence in India. Today, the Netherlands is the fifth largest source of investments in India and in turn India is also the fifth largest source of investments in the Netherlands. Section 12(1)(d) of the Consumer Protection Act, 1986: Enables the government to approach Consumer Forum to protect interests of consumers. The Section 12(1)(d) of the Consumer Protection Act, 1986 was in news as the Union Government filed a complaint under it for the first time in nearly three decades since the enactment of the act. 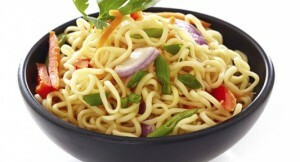 The Union Ministry of Consumer Affairs, Food and Public Distribution on 3 June 2015 filed a complaint with the National Consumer Disputes Redressal Commission (NCDRC) against Maggi, the brand of instant soups and noodles owned by Nestle. The government took this decision against the backdrop of alleged lapses related to food safety standards in Maggi noodles containing high levels of lead and Monosodium Glutamate (MSG). The Section 12(1)(d) of the Consumer Protection Act, 1986 says that a complaint in relation to any goods sold or delivered or agreed to be sold or delivered or any service provided or agreed to be provided may be filed with a District Forum by the Central Government or the State Government. They may file the complaint, as the case may be, either in its individual capacity or as a representative of interests of the consumers in general. Under the Consumer Protection Act, 1986, if the allegations are proved, a fine of up to 5 lakh rupees and imprisonment of up to 6 years in case of grievous injury to the consumer and imprisonment of minimum 7 years and fine of not less than 10 lakh rupees in case of death will be awarded to the guilty. In the related incident, the Union Government asked the central food safety regulator Food Safety and Standards Authority of India (FSSAI), which comes under the Union Ministry of Health & Family Welfare to inquire into the matter. Incidentally, the World Health Organisation (WHO) selected the theme From farm to plate, make food safe for the World Health Day (WHD) 2015 which was observed globally on 7 April 2015. 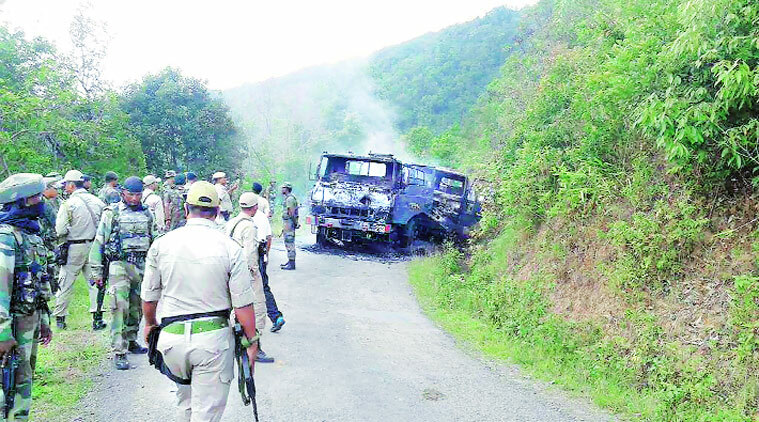 The place Tengnoupal in Manipur was in news on 4 June 2015 as at least 20 Army personnel were killed and 16 others injured after a group of militants ambushed 6 Dogra Infantry Regiment. Tengnoupal, a Kuki-ethnic village, falls in the Moltuk valley of Chandel district of Manipur and lie 15-km from away from Indo-Myanmar border. The ambush took place on Tengnoupal-New Samtal road when the convoy of 46 jawans belonging to the Dogra Infantry was returning to their headquarters in Dimapur, Nagaland. The responsibility of the attack was jointly claimed by three militant organizations, namely National Socialist Council of Nagaland-Khaplang (NSCN-K), Kanglei Yawol Kanna Lup (KYKL) and Kangleipak Communist Party (KCP). The Union government has ordered an all-out counter-insurgency and combing operations against the insurgents in the surrounding areas. 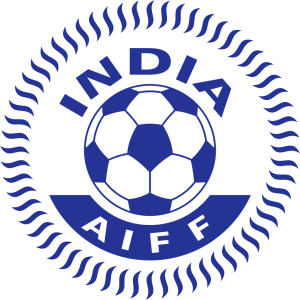 All India Football Federation (AIFF) on 2 June 2015 signed an agreement with French Football Federation (FFF) in Zurich. The agreement was signed by Praful Patel, President, AIFF in the presence of Kushal Das, General Secretary of AIFF. The parties agreed to cooperate with each other in order to develop strong ties between their respective associations for the mutual benefit of each association and for the promotion, growth and continued success of football in each country. Availability of sports centres or installations for competition, training and camps as and where possible in accordance with availability and suitability was also been agreed upon. Besides, support for the preparation of the Indian U-17 World Cup Team which will be participating in the FIFA U-17 World Cup 2017 to be hosted by India in terms of exposure trips for matches with French teams and participation in youth tournaments in France have also been considered. This is the third agreement AIFF had signed with other country, after Federation entered into a partnership with the German Football Association (DFB) in May 2015 and a MoU with the Japan Football Association in February 2015. 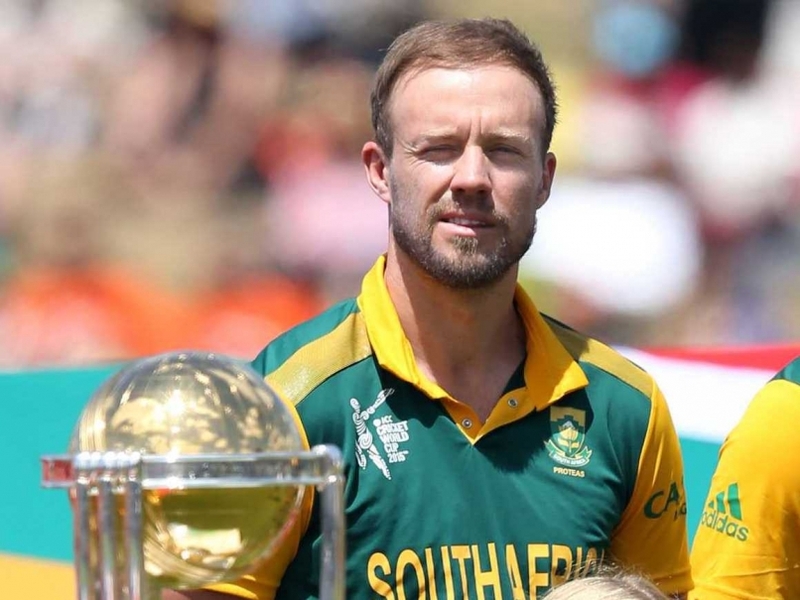 AB De Villiers was on 3 June 2015 conferred with the South Africa (SA) Cricketer of the Year Award for 2015. The award was presented to him at the 2015 Cricket South Africa Awards presentation ceremony held at Midrand in South Africa. Having received the annual award for 2014 also, he joined Makhaya Ntini who received the award in successive years- 2005 and 2006. Till now, only eight players have received the most prestigious award of Cricket South Africa (CSA) including Jacques Kallis (2004 and 2011) and Hashim Amla (2010 and 2013) who received the award twice. Thus, he equated the performance of Hashim Amla who won five awards in 2010. The other major awards went to Hashim Amla as Test Cricketer of the Year, Morne van Wyk as Ticketpro T20 Cricketer of the Year and Dale Steyn won the RAM Delivery of the Year Award. AB De Villiers is considered as one of the best all-round cricketer and placed at the No. 2 spot in Test match cricket and at No. 1 in ODI cricket rankings. He now holds the world records for the fastest 50, 100 and 150 in ODI cricket. Visit Khichdi's profile on Pinterest. Why PM’s ‘Skill India Mission’ Is a need of time ? Whats the Difference 3G, 4G and 5G?